There need to be more polishes like this one. Lots more. In all the colors! Why didn't I pick it up either of those times? Well, I hadn't seen many swatches, and the fluorescent lights really did nothing for it. Not the first of its kind to fall victim to this problem, certainly (and sadly) not the last. There's definitely a subtlety in this polish that I just adore! 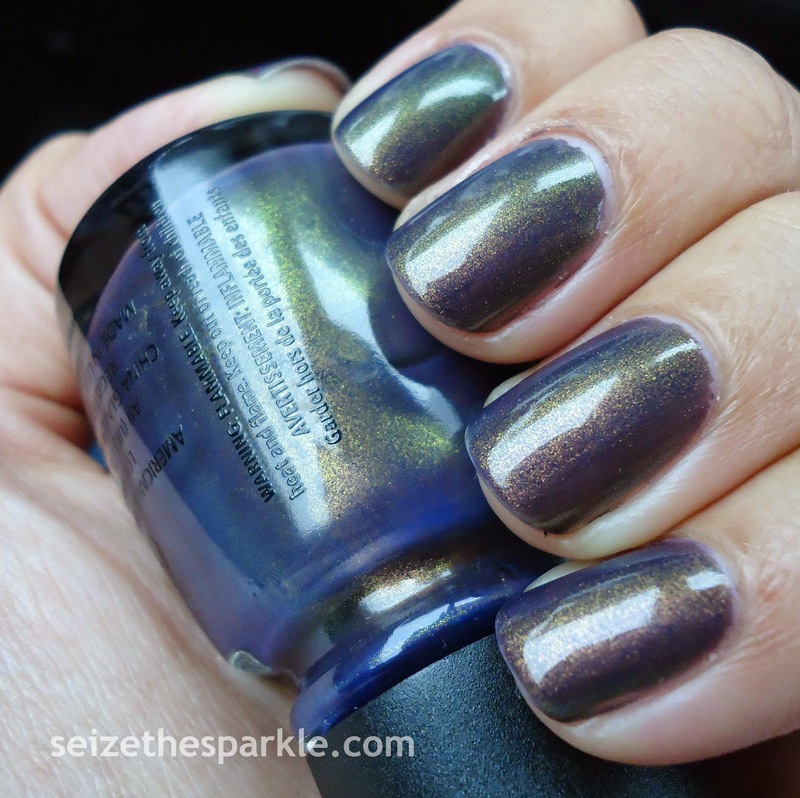 It's got a sheer duochrome base that shifts from a sheer dark bluish-purple to purply-gray. That alone would have made a great polish, but there's more! Specifically, an extra-fine shimmer that flashes red to gold to green, making Choo Choo Choose You a really unique and pretty polish! I seriously loving how these photos turned out, and loving my nails even more! Before I had it on my nails, I really wasn't sure about all the hype surrounding Choo Choo Choose You. But it's all definitely true... :) So glad I've got an awesome sister who totally enables my polish addiction. A... you're the best!! !